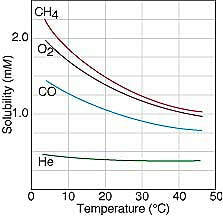 For most solids dissolved in liquid water, the solubility increases with temperature. The increase in kinetic energy that comes with higher temperatures allows the solvent molecules to more effectively break apart the solute molecules that are held together by intermolecular attractions. The electrons of the hydrogen atoms are strongly attracted to the oxygen atom, and are actually closer to its nucleus than to those of the hydrogens. Thus, the molecule has a strong negative charge in the middle, and a positive charge at the ends. Polarity plays a pivotal role in solubility. 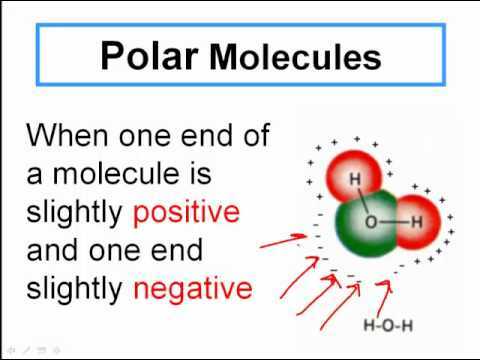 A polar solute will dissolve in a polar solvent whereas a non-polar solvent will dissolve in a non-polar solvent. If we put a polar solute in a non-polar solvent, it will not dissolve. To remove paint from clothes we don’t use water, we use an organic solvent, like acetone or petrol. Paint is non-polar, and to dissolve it we need a non-polar solvent like acetone. The aphorism used by chemists to describe polarity is the saying "like dissolves like" since the solute and solvent must have the same polarity in order to be miscible (mixable). 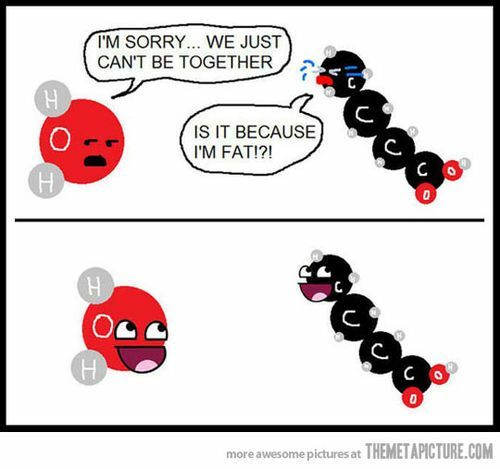 This is why fat and water are immiscible. Liquids and solids exhibit practically no change of solubility with changes in pressure. 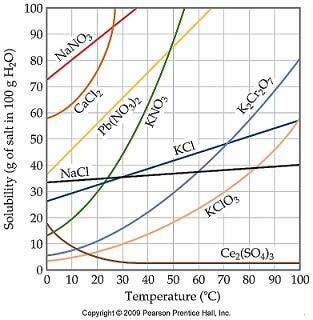 Gases as might be expected, increase in solubility with an increase in pressure. Henry's Law states that: The solubility of a gas in a liquid is directly proportional to the pressure of that gas above the surface of the solution. The rate at which a solute dissolves depends upon the size of the solute particles. Dissolving is a surface phenomenon since it depends on solvent molecules colliding with the outer surface of the solute. A given quantity of solute dissolves faster when it is ground into small particles than if it is in the form of a large chunk because more surface area is exposed. The packet of granulated sugar exposes far more surface area to the solvent and dissolves more quickly than the sugar cube. Heating up the solvent gives the molecules more kinetic energy. The more rapid motion means that the solvent molecules collide with the solute with greater frequency and the collisions occur with more force. Both factors increase the rate at which the solute dissolves.